If you have been injured in a car accident, it is important to have an experienced personal injury lawyer standing up for your rights. 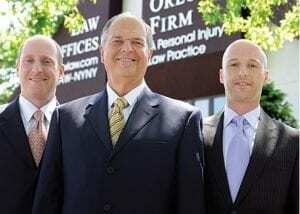 At The Orlow Firm, we have extensive experience handling car accident insurance claims for clients in New York City. We will handle all of the legal details, so you can concentrate on recovering from your injuries. Contact our NYC law firm today to speak with an experienced New York City car accident insurance claim attorney.